Flower power! 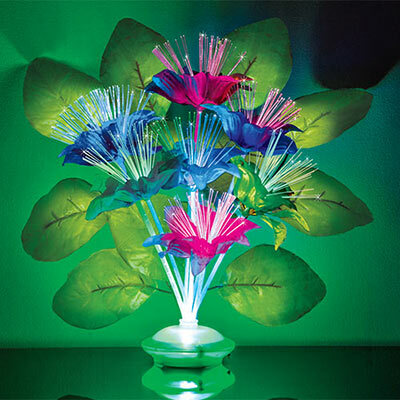 Get a conversation started with these gorgeous fibre optic flowers. Whether used in an arrangement or displayed alone, the faux silk blooms are stunning when their centres and stems begin to light up and change colour. Requires 3 AA batteries (not included). 14"h.